I've wanted to make these candles for a really long time. 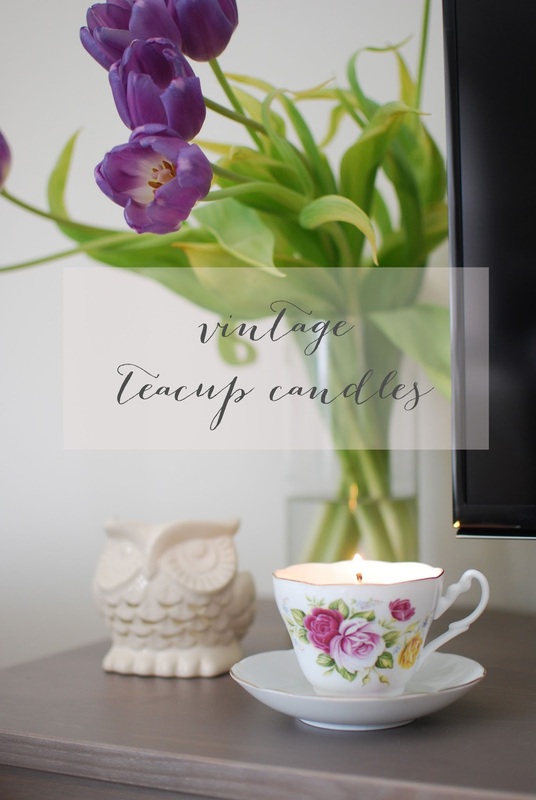 I love, love, love tea and I've grown to appreciate candles around my home, so this was a winning combination for me! 1. Using two wooden skewers (I used disposable straws because I had them on hand), tape two together at the ends to use as a support to hold your candle wicks in place. 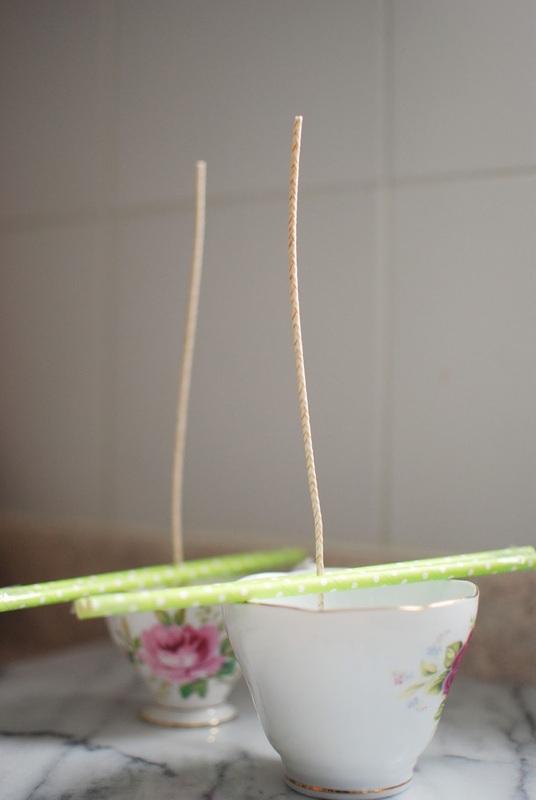 Make sure the metal base of the wick is flush with the bottom of the teacup. 2. In a double boiler, melt the candle wax. Once the wax has melted, add your scent and dye and mix together. Be aware that the candle wax will almost immediately harden to the tools you're using, so wash everything quickly once you're done using it! 3. 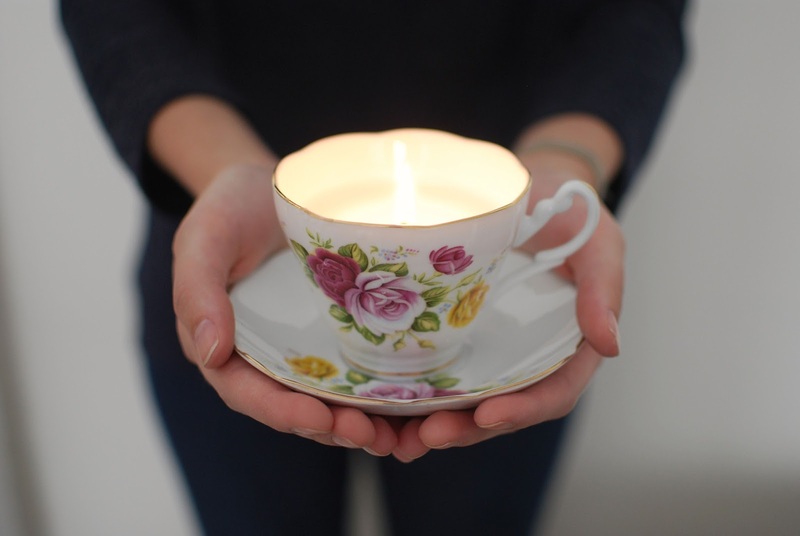 Once the candle wax has been melted and the colour and scent incorporated, pour the wax into the teacups, leaving the top 1/4 of the cup empty. Put the candles aside to set up and revisit them in a few hours. 4. Once your candles have set you can trim the wicks down and light them! There is lots more coming your way in the next few weeks, and it won't all be food, I promise! In the meantime, you can follow along on Instagram @whatemilysaid for more photos that don't always make it onto the blog! 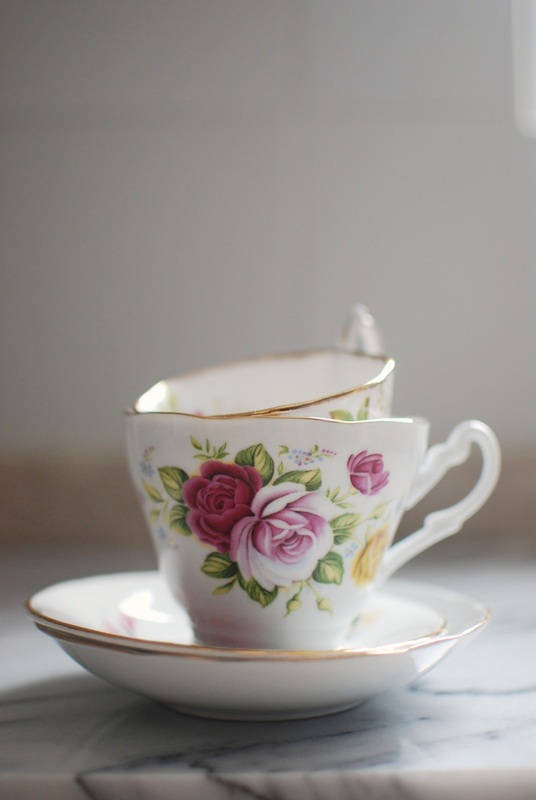 What brand/model of teacup is pictured? I have a collection of teacups from my grandmother and this looks very similar. Are they shaded pink inside? Thanks! I bought them at a thrift store and they don't have the make of them! They are white inside though. It sounds like yours would be very pretty with the pink inside!